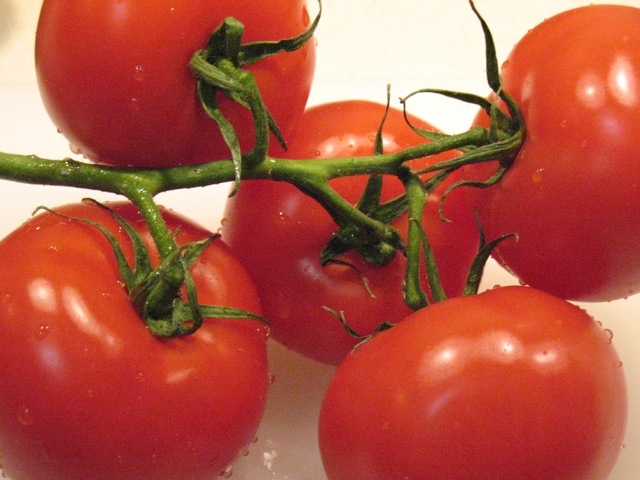 These are just pretty tomatoes. They have nothing to do with the post. The year is going by quickly. Tomorrow it will be May and Cook In / Dine Out will have been up for almost 4 months. April's most popular recipe was the Chicken Tortilla Pie, followed by the Lemon Cake with Honey-Mascarpone Frosting and Ginger-Brown Sugar Ice Cream. 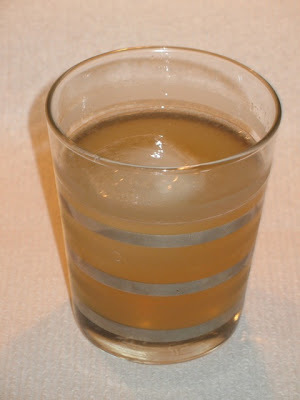 The most popular post for the second month is the Happy Endings Whore's Bath cocktail. 1. Roasted Chicken with Greens and Bread Salad. I just love this dish. Every time I see it posted on my blog I want to have some. 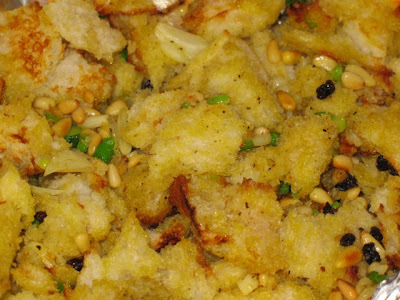 The bread salad, in particular, has such a remarkable flavor. 2. Southwestern Salmon with Black Eyed Pea Succotash and Yellow Pepper Sauce. I like this dish a lot because it's an interesting combination of flavors and the colors make a beautiful presentation. 3. Gnocchi with Sausage-Mushroom Ragu. Gnocchi is a big hit in our house. This batch turned out perfectly and the sauce, while rich, complemented the little dumplings without burying their potato flavor. 4. Turkey and Butternut Squash Meat Loaf. I like this dish because I consider it a rather bold experiment that exceeded my expectations for how well it worked. 5. Astoria Salad. 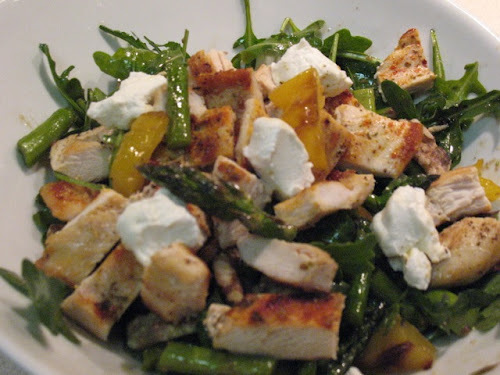 This was the first recipe I posted and it's one of my favorite salads. I like that it takes a classic dish--Waldorf Salad--and reinterprets it as something lighter and fresher. Honey-Nut Old Fashioned. Another grand experiment that actually worked well. I've not done a lot of liquor infusions, so I feel fortunate that my first attempt, which could have gone horribly wrong, resulted in a nice flavor combination. Plus the fact that I was able to tie the whole thing into a popular cereal was fun too. 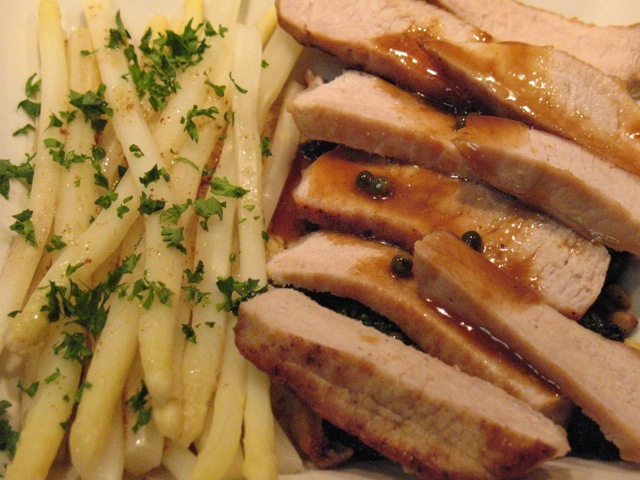 Years ago, The Washington Post published a foolproof recipe for perfectly cooked pork chops. I've made it many times since then and it works great. The meat is seared on the outside, tender on the inside, and the pan residue is ripe for deglazing to make whatever pan sauce inspires you. There are two essentials for doing it right. First, you need a frying pan with a lid. For three chops, I find a 10-inch pan is just the right size. Second, you need to buy the right type of chops. 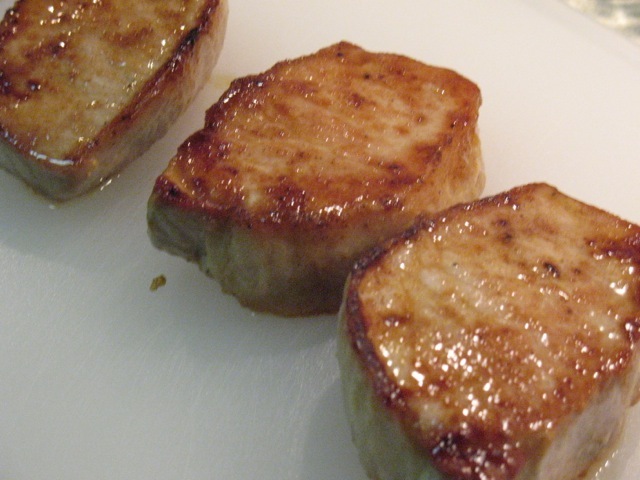 The recipe recommends boneless chops that are about an inch thick. Thinner chops will overcook and dry out; thicker chops might work, but would require longer cooking. Then it's just a matter of heating the pan really hot with a little oil. Since the pan is going to be quite hot, it should be an oil with a lower smoke point, so olive oil is out, since heating extra-virgin olive oil to a high temperature will give it a funky taste. I used canola; vegetable would work too. For the sauce, I wanted something sweet and spicy rooted in flavors that go well with pork. Since pork chops and applesauce go well together, I decided to use apple brandy as its base, adding maple syrup for complex sweetness and brined peppercorns (the soft kind you can chew whole). Under the chops, I made Mark Bittman's Spinach with Currants and Pine Nuts, which Chris and I both really liked. I could see pairing this with other meats or fish. And then on the side, I served White Asparagus with Brown Butter. 1. 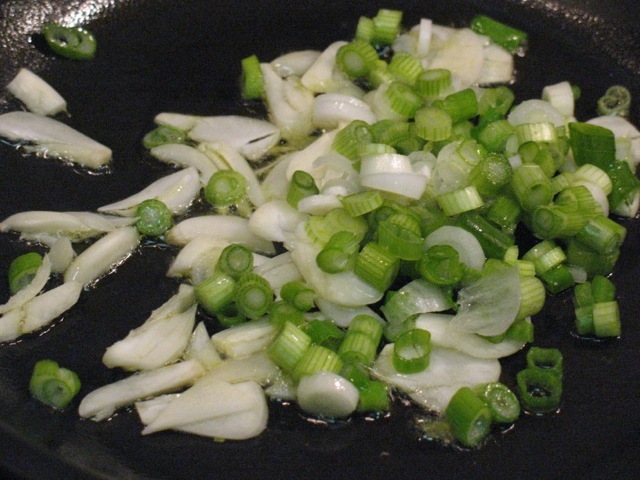 Heat canola oil in a medium-size frying pan over medium-high heat until hot but not smoking. 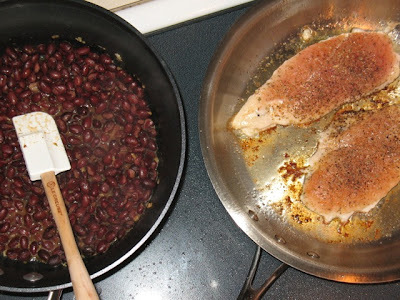 Pat chops dry, season with seasoned salt and add to pan. Sear for 1 minute, turn pork chops and sear other side for 1 minute. Reduce heat to low, cover and cook for 4 minutes. Turn chops and cook covered for another 4 minutes. Remove chops from pan, tent with foil and allow to rest while making pan sauce. 2. Increase heat to medium. When pan juices start to sizzle, add apple brandy. 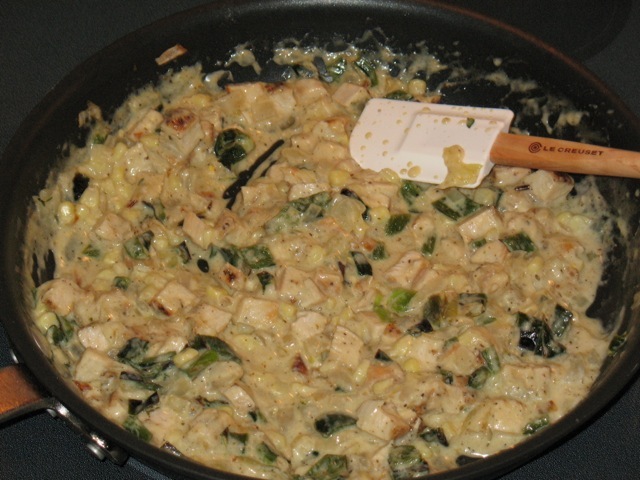 Cook until reduced by about half. Add peppercorns, syrup and cream. Swirl to combine and cook for a few more minutes to thicken. 3. Slice chops into 1/4-inch slices. 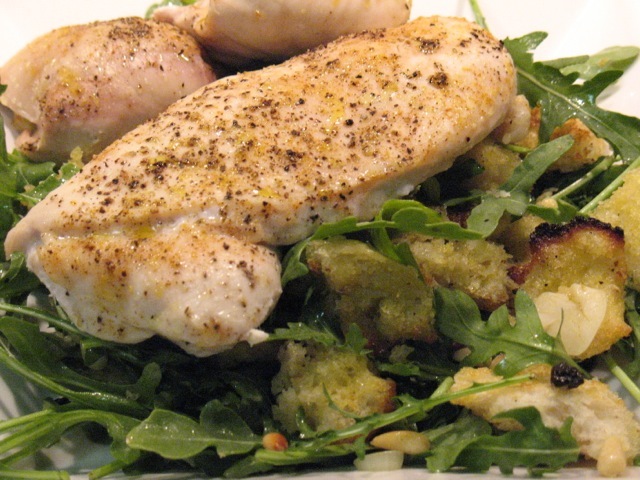 Arrange on plate and top with maple-peppercorn sauce. 1. Bring a large pot of water to boil. Add spinach and boil for about 5 minutes. Drain spinach and rinse with cold water. 2. While spinach is boiling, add currants to small bowl and cover with warm water. Heat a small frying pan over medium-low heat and toast pine nuts until fragrant and lightly browned. 3. Squeeze spinach to remove water, wrap with towels and squeeze again to remove additional water. 4. Heat a large frying pan over medium heat. Add garlic and saute until golden. Add spinach and cook, stirring for about 2 minutes. 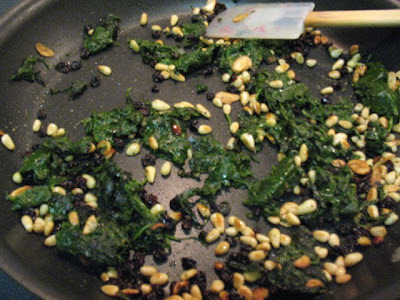 Drain currants and add to pan along with pine nuts. Cook for another 3-4 minutes. Season with salt and pepper and serve. For years I've wondered about but never tasted white asparagus. Those ghostly sprigs show up in the grocery store around this time of year, looking like zombie versions of the more common green type. 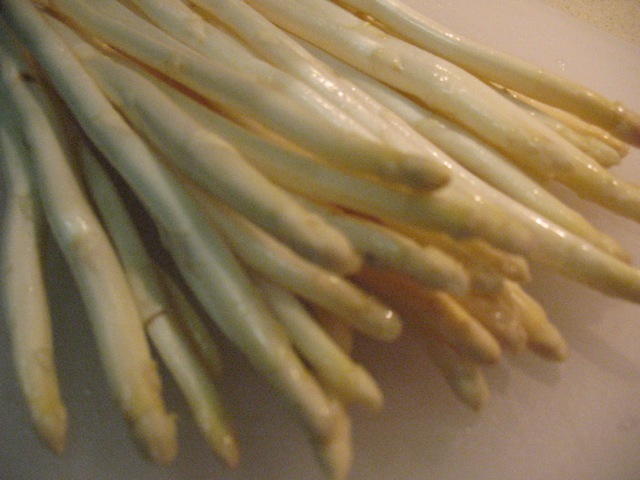 White asparagus is white because it's grown underground, preventing sunlight from reaching the stalks and thus inhibiting chlorophyll production. Although green asparagus has woody parts, the outer part of white asparagus is even tougher and must be peeled off before preparing (the snap method does not work for white asparagus). Nonetheless, the stalks themselves are more tender, so this must be done carefully. The recommended method is to lie the stalks flat on a cutting board and run a vegetable peeler over them, starting about an inch below the tip. Even doing this, I broke a few, so be careful. I tasted a small piece of the raw, peeled white asparagus. The flavor reminded me of bean sprouts, which I suppose makes sense, given that they too grow underground. Cooked, the stalks have a more delicate, less bitter flavor than their green counterpart. I like this recipe from Gastronomer's Guide, which uses a simple preparation paired with brown butter and fresh parsley. 1. 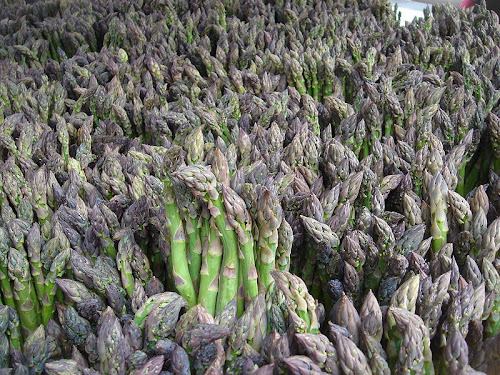 Cut off about an inch from the bottom of the asparagus stalks and discard. With a vegetable peeler, carefully peel off the outer layer of the white asparagus stalks starting about an inch below the tip. 2. 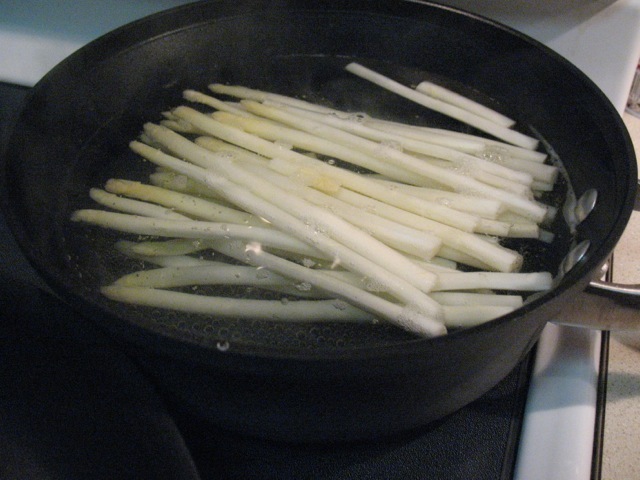 Fill a deep-sided skillet or large saucepan (large enough that the stalks can lie flat when placed in the pan) about halfway (2 inches) with water. Add salt (a tablespoon or so should do it) and asparagus spears. Bring to boil over medium-high heat. Cook for 5 minutes. 3. Heat a small saucepan over medium heat (a stainless steel pan will work better than a nonstick pan, since it's lighter surface will allow you to better observe the browning of the butter). Add butter and cook until butter has browned, swirling occasionally to better ensure even heating, about 5 minutes. 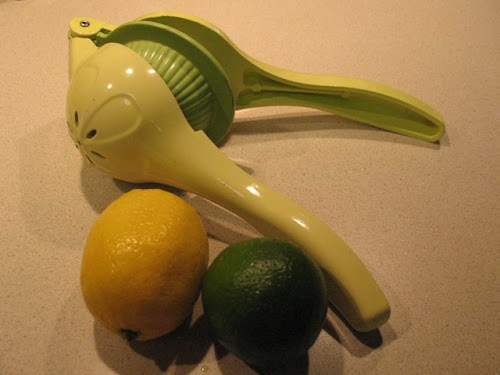 Pour butter into a glass measuring cup and whisk together with lemon juice and vinegar. 4. 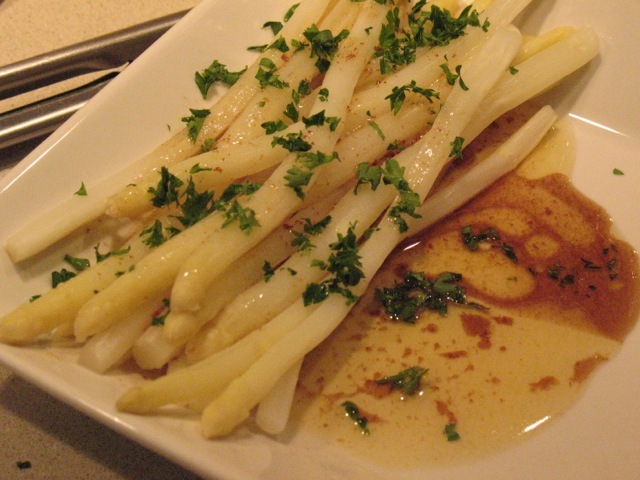 Place asparagus on a plate, spoon brown butter sauce over spears and sprinkle with parsley. Dining featured two really great front page stories today. First, Jeff Gordinier, quickly becoming my favorite Dining section writer, tackled a subject near and dear to me: cooking with music. He interviews chefs about their musical tastes in the kitchen, how central music is to their work and how their musical personality is seeping into the dining room. As a former music blogger turned food blogger, this story held particular interest for me. Love that it features my favorite ice cream chef, Jeni Britton Bauer. I also really liked Jan Hoffman's story about 12 year-old Marshall Reid who learned to cook healthy food after being teased for being fat and is now an activist to help other children eat better too. He calls his effort "Portion Size Me," (Hoffman also calls it the "Marshall plan," clever), which he and his mom recently turned into a book. It's an inspiring and very human story, as Reid, now healthier but still struggling with his weight, admits to the same dessert temptations faced by many of us all the time. Pete Wells gives two stars to Empellón Cocina, the East Village Mexican restaurant from Alex Stupak, the former pastry chef of New York's WD-50 and Chicago's Alinea. The restaurant has received a fair amount of buzz, so it's nice to see it get a decent review. Wells points out that Stupak's cooking isn't authentically Mexican, but draws on those flavors to design his own creative dishes, like a gordita made with deep-fried egg yolk served with smoked plantains and chorizo. The guacamole, served with pistachios and masa chips, sounds really good too. Elaine Sciolino has a piece on the pursuit of the perfect pea. I love peas, although I'm not quite passionate enough to read the whole thing. However, the accompanying recipe for Petits Pois de L’Oustau de Baumanière, which is French for Awesome Sounding Peas with Bacon, is something I must make soon. In keeping with my asparagus theme this week, the Times offers a recipe for Penne with Asparagus Carbonara. In contrast to the Times, I wasn't really excited about either of the Food section's front page stories, although both have their merits. Jim Shahin explores innovative barbecue cooking, something that would probably interest me more if I had a barbecue (one of the few food drawbacks of living in the city). Joe Yonan pops in for a Cooking for One column on eggs, particularly eggs from your own coop which, again, not something I can do where I live, although it bring back fond memories of gathering eggs in the morning on my grandma's farm. Two things I really liked today: Bonnie Benwick's Dinner in Minutes recipe and Jason Wilson's Spirits column. Bonnie offered up a Broccoli Soup with Cheddar Croutons, which uses yogurt instead of cream as a thickener plus an interest spice blend of cumin seed, fennel seed and coriander. Jason Wilson's column focuses on cocktails made with grapefruit juice, a personal favorite for building interesting drinks (see, for example, my blog's to-date most popular post: The Happy Endings Whore's Bath). He demonstrates its versatility, offering up suggested drinks with mezcal, tequila, vodka and aquavit. During today's chat he offered quite a few more examples too. New York Times. Great front pages stories and a review of Alex Stupak's restaurant definitely carries it to victory this week. This is a tangy spring-leaning sauce to brighten up broiled salmon with asparagus. I recently discovered the utility of Greek yogurt. 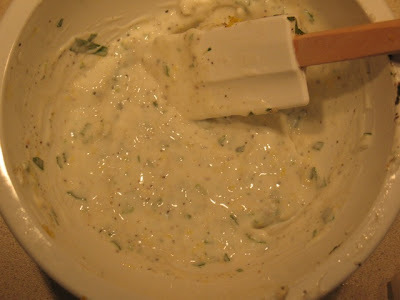 It has great texture, making a creamy sauce that is much lighter (fat free) than if using sour cream. Since I don't have a mortar and pestle, I use the rounded end of a cocktail muddler to grind the garlic into a paste. A sprinkle of salt helps the process. To trim asparagus, simply bend the stalks and let them break at their natural breaking point. Discard the thicker, tough ends (the ends without the buds). 1. 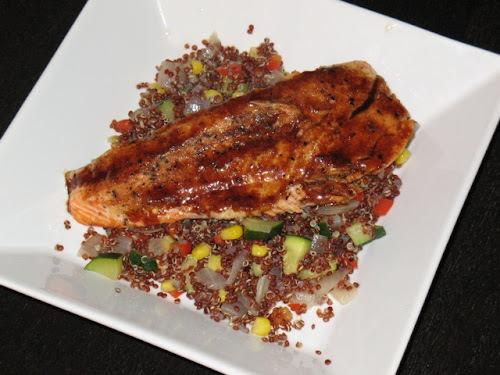 To make the salmon, preheat broiler with oven rack in highest position (about 4-5 inches from broiler). 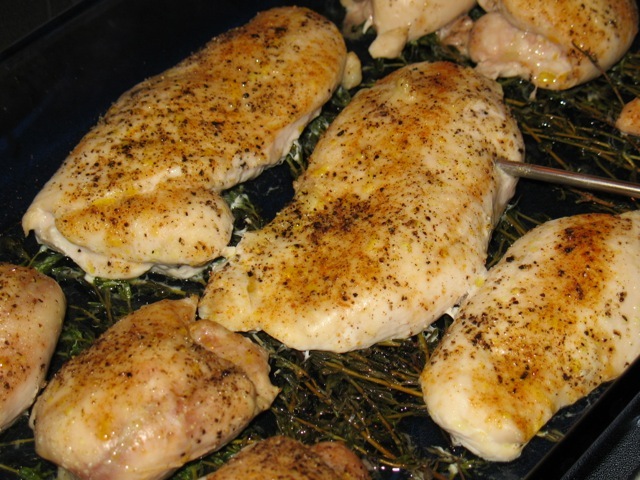 Stir together olive oil, lemon juice, minced garlic, seasoned salt and fresh-ground black pepper. Place salmon fillet skin side down on baking sheet sprayed with olive oil. Spread garlic-oil mixture on flesh side. Broil 5 minutes, flip fillet and broil 5 minutes more. Remove charred salmon skin and check for doneness. Broil an additional minute if salmon isn't cooked enough. Cut fillet in half. 2. To make the asparagus, toss with olive oil and seasoned salt and broil for about 7-8 minutes (if you use a large baking pan, you can broil the salmon and asparagus side-by-side). 3. 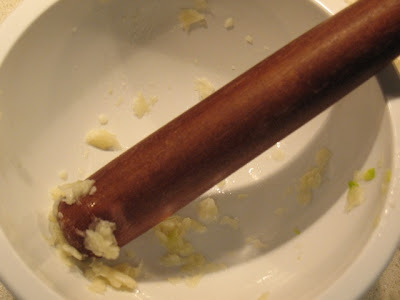 To make the sauce, chop the garlic, add to a bowl with a pinch of salt and grind to a fine paste. Add the other ingredients and stir to combine. 4. 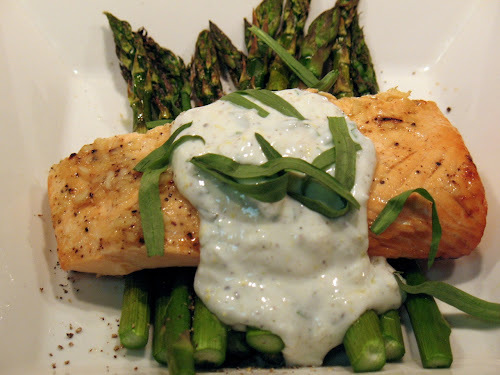 Serve salmon on top of asparagus topped with the yogurt sauce and a sprinkling of fresh tarragon leaves. I added a new feature to my blog today, a reference guide, which I will update regularly. It contains information about abbreviations, equipment, terminology and measurement conversions that I intend to be particularly useful for interpreting recipes, both by me and others. If you have any suggestions for information to include on the reference page, please let me know. It's accessible from the title bar. I don't think it's possible to make a cocktail that's more refreshing than this. Mint, cucumber and lemon juice are all classically "refreshing flavors." Together with Hendrick's gin and some sugar, it makes a cocktail that's like being kissed by a cool spring breeze. Add mint leaves and 1/2 oz. simple syrup to cocktail shaker. Muddle mint leaves with a twisting motion. Peel cucumber and chop into 1/2-inch cubes. Add to shaker and muddle with a crushing motion. 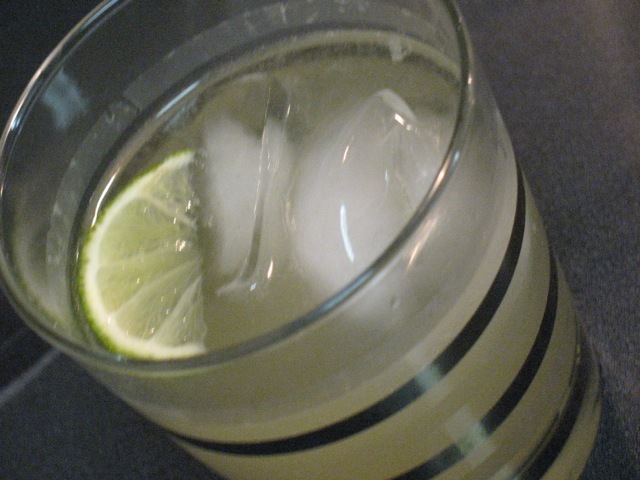 Add ice, gin, lemon juice and another 1/2 oz. simple syrup. Shake until cold. Strain into rocks glass with ice. Top with club soda and stir to combine. 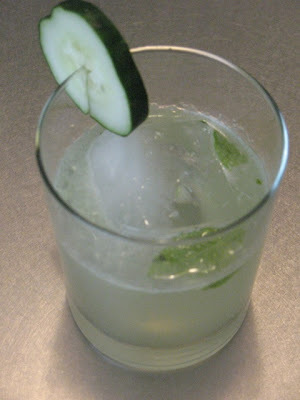 Garnish with small mint leaves and a slice of cucumber. Sometimes it's nice to be surprised. I had a preview of what one of the food sections was offering today, and I was sure that it meant it would win. Turns out, I was mistaken. However, it was a competitive week, with both sections offering up enticing new columns today. The New York Times was off to a strong for two reasons: 1) The front page declared this week's Dining section to be "The Pizza Issue." That gets me going off the bat, for I love pizza (see my recent crispy pizza post). 2) Columnist Mark Bittman returned to the Dining section today. Bittman is something of a legend in food writing circles. For years, he wrote the Dining section column, The Minimalist, a celebration of how to bring out the best in fresh ingredients with simple recipes. Bittman's new column "How to Cook Everything," is a riff on his celebrated cookbook of the same name (it's also available as an iPhone app, which I wrote about awhile ago). His first How to Cook Everything column ties into the issue's theme, espousing his simple approach to pizza, including his easy recipe for Basic Pizza Dough (which I consulted for my Crispy Pizza recipe). To some extent, I was prepared to award Food (Section) Fight! to NYT this week on the basis of these very promising moves. However, the rest of today's Dining section failed to live up to the promise of the front page. The rest of the pizza coverage was underwhelming. Pete Wells has a piece on fried pizza, which doesn't really interest me (I suppose I'm a traditionalist in that I think pizza should be made in an oven). He also ignites one of my pet peeves by using the word "ecosystem" in the wrong context, referring to "New York's crowded pizza ecosystem." An ecosystem is an ecological unit comprised of living things and, as wonderful as pizzerias are, they are not, in fact, living (the people who run them, that's another story). Eric Asimov has a column on what to pair with pizza, in which he concludes that you can pair just about anything (red wine, white wine, beer, champagne or Coke). Melissa Clark offers up a couple of calzone recipes, which is like pizza's cousin. She says for the dough you can use homemade or purchased, but fails to direct readers to Bittman's dough recipe on page D3. Melissa! David Tanis' Seaweed Salad takes a really pretty picture. I don't know if I'm gung ho about putting seafood in my salad, but all the other ingredients sure look nice together. Pete Wells reviews Alison Eighteen, a new restaurant new Union Square that gets only 1 star. Then there's Jeff Gordiner's story about a guy who likes to paint pictures of cheese, which is amusing, but not really about either cooking or eating. So the New York Times dazzled me with the promise of a good section but ultimately let me down (except for Mark Bittman--LOVE Mark Bittman). Meanwhile, the Washington Post churned out a real work horse of a Food section today. You know how I said I often judge a good Food section by whether I'm still reading it by the time I finish breakfast? That was certainly true today. Front and center is the new column by David Hagedorn, which I am really excited about. It's called "The Process," and it's going to document the methods by which Hagedorn turns interesting ingredients into original dishes. For me, this is really exciting. It's is exactly where my personal cooking interest lies right now: learning how to use exceptional ingredients and draw on a working knowledge of cooking technique to produce delicious, original recipes. For the home cook, I see this is an important tipping point: crossing that threshold from replicating recipes others have made to wielding sufficient expertise to create your own. It's an exciting challenge, and I'm really looking forward to reading this each month. The first column focuses on a selection of spring vegetables: fresh chickpeas (i.e. not the canned kind), garlic chives and scallions, with recipes for each (particularly like the Scallion Shiitake Pancakes). Last week, I said I thought Tim Carman and I weren't on the same wavelength. This week, I love his story, a review of chef Alain Ducasse's new cookbook Nature, which includes some particularly witty phrases: "Alice Waters would have gushed like a broken fire hydrant in Queens, given the chance!" and..."which has earned him enough Michelin stars to form his own private galaxy." Full disclosure: his review didn't actually appear in the Food section (it's online), but the recipes he adapted from the cookbook do, including the rather tasty looking Spring Tartines. For those who follow the D.C. restaurant scene, the trials and tribulations of chef Robert Donna will not be new to you. For those who don't, here's a quick recap: For years, Donna presided over the kitchen of his renowned downtown restaurant Galileo (I ate there twice, it was fabulous). When the building owner decided to renovate, Donna moved his operation to Crystal City, opening a more casual eatery called Bebo. Here the problems began: Bebo was plagued by bad service and mixed reviews. Still, the devotees seemed to give him a pass and when he returned to D.C. proper with Galileo III, that's when it got really bad. The good reviews? Gone, along with much of his staff, who reportedly took off after he failed to pay them. Yikes. Donna closed up shop, tucked tail between legs and took off for Phoenix (Yeah, odd, but it happened). Well, now he's back with a new casual pasta and pizza restaurant in upper northwest called La Forchetta. Already, it's embroiled in controversy for apparently having lifted its name and logo from a Venezuelan restaurant and creating confusion with the similarly named French D.C. restaurant La Fourchette. However, Tom Sietsema's First Bite preview sounds promising (thankfully for me, since I have reservations there soon). The pizza sounds a little disappointing, but other dishes sound good. Tom fails to mention anything about the pasta, which perhaps he is saving for his review proper. Other good content this week includes Jane Black's story about mobile carts bringing produce to low-income, urban neighborhoods, Bonnie Benwick's Dinner in Minutes recipe for Kale and Chickpeas Stew, reminiscent of this All We Can Eat post from January about kale and chickpeas, and Stephanie Witt Sedgwick's Nourish recipe, Grilled Asparagus, Farfalline and Prosciutto Salad. The Washington Post. Despite my excitement over the NYT pizza issue and the return of Mark Bittman, I was even more impressed by the new David Hagedorn column and overall good coverage this week from WaPo. Awhile back I wrote about some downtown D.C. food truck lunch options. I thought it was time to revisit the topic. Apart from the ongoing regulatory battle, the biggest news in the D.C. food truck of late is the arrival of Jose Andres' truck Pepe. It's been around for a few weeks now, but Andres' Spanish sandwich truck seems is still setting records for longest food truck lines (in addition to its record prices, including $20 for the Pepito de Iberico, which includes Iberico pork, Serrano Ham and roasted green pepper--sounds delicious). Regrettably, I haven't tried Pepe yet. But not for my having not tried. Most food trucks tweet their location in the morning well before lunchtime, which you can track with a map of their locations on Food Truck Fiesta. For awhile, Pepe was tweeting it's location later than most others, although it seems to be improving. However, I've had bad luck trying to locate the truck. One day when it was going to be at the Portrait Gallery at 11:30 I was ready to go. I showed up at 11:30 even and...no pepe. I circled the block three times and even did a lap around Hotel Monaco in case Pepe's location had been a little off. No dice. I ended up getting food from another truck and learned later that Pepe was about 20 minutes to its spot. I'm determined to try it soon though. Chupacabra. The Chupacabra is a mythic Latin-American monster, but there's nothing scary about the food served up at the food truck by the same name. 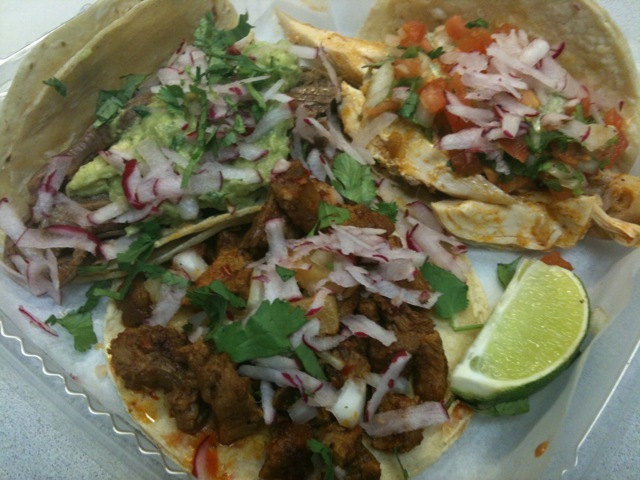 These are the best food truck tacos I've had so far (yes, better than TaKorean). Pictured above is their trio of chicken, pork and shredded beef tacos, all of which come topped with chopped radishes and cilantro, giving the spicy, seasoned meat a cool, fresh finish. Borinquen Lunch Box. This truck serves Puerto Rican cuisine and was recommended to me by my coworker with a Puerto Rican heritage. She steered me towards the Tripleta, and I'm a better man for it. It's really, really good. As the name implies, this is a sandwich with three meats: roasted pork, skirt steak and ham, served with lettuce and potato sticks (basically mini French fries). It's not a particularly healthy sandwich, but it is very satisfying. Carnivore BBQ. A hankering for a good barbecue sandwich is easily satisfied by this truck, whose pulled pork sandwich features a rather generous helping of shredded pork served on a bun with slaw and barbecue sauce. I thought the sandwich was really good; not too spicy, not too sweet, although that will vary depending on what sauce you choose (I opted for Memphis). CapMac. 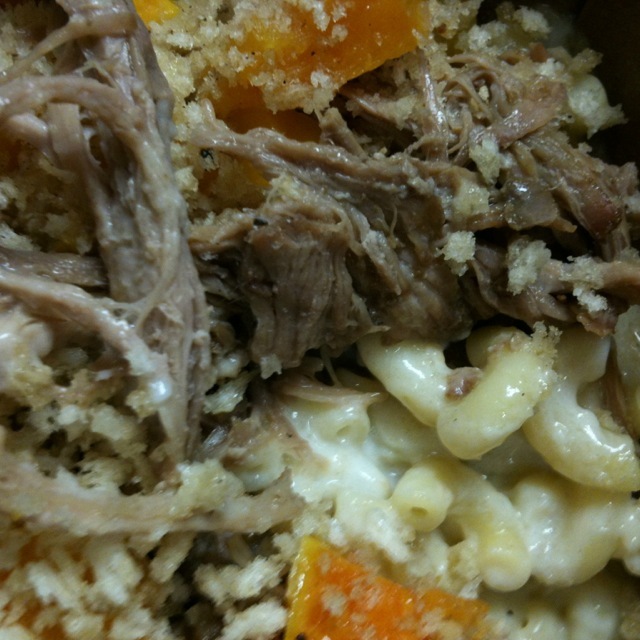 It's been a few weeks since I visited CapMac, and they are no longer offering their winter mac, a dressed up mac & cheese featuring shredded pork, roasted butternut squash and fontina cheese (they told me today that they are now offering a roast pork Philly mac, with fontina and provolone cheese sauce and sautéed broccoli rabe). Even if this is no longer there, I imagine whatever seasonal offering has replaced it will be just as good. 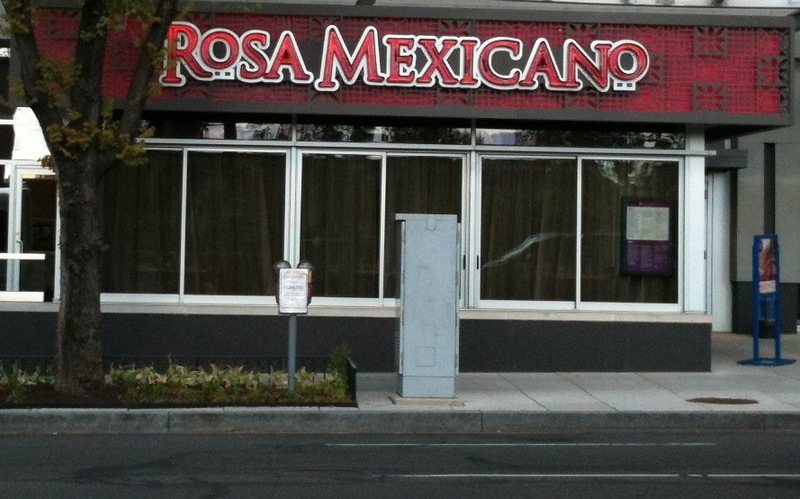 Rosa Mexicano (Friendship Heights), Washington, D.C.
2015 Update: The Friendship Heights Rosa Mexicano has closed. The downtown location remains open. Unlike food critics who have to, most diners who have a bad experience during a first visit to a restaurant do not go back. Why would they? With hundreds of options vying for your hard-earned cash, it's a more reasonable gamble to try your luck somewhere else. Unfortunately for restaurants though, this means one bad night can turn any first-time diners into one-time diners. Maybe this doesn't seem fair--that server who ruined your meal may have been new and not long-lasting--but it's the way it is. My first meal at the downtown D.C. Rosa Mexicano did not leave a very good impression. I thought the meal was overpriced for rather ordinary enchiladas. The supposedly famous table-side guacamole? Not as good as the table-side guacamole served a block away at Oyamel. This was probably 8 years ago, and I hadn't been back since...until recently. In the ensuing years, the restaurant has apparently thrived. The downtown location always looks busy, and a second opened at Maryland's nearby National Harbor. Then, just a few months ago, a third local location opened not far from my house. I decided to act in atypical diner fashion and give the Manhattan-based another chance. I'm glad I did. Chris and I have been to the new Friendship Heights location twice and had great dinners both times. That table-side guacamole may be no better than what Jose Andres serves at Oyamel, but it scores points for being served with warm, freshly made mini corn tortillas, which also taste delicious with the chipotle house salsa. So far, our entrees have been uniformly good. My grilled salmon served with sweet corn, kale and pancetta was cooked just right and given a nice spicy-sweet kick by its habanero-fruit white wine sauce. Even better were the short ribs. So tender and served with a savory but not too spicy tomatillo-tomato-chipotle sauce. For those that either love or loath heat, both of these dishes are marked as "medium" spicy, but frankly neither are really spicy--certainly far less spicy than the green salsa served with the guacamole. Another winner is the chicken tortilla pie, a comforting layered dish of shredded chicken, cheese and roasted peppers served with poblano cream sauce. It's so good that I was inspired to make my own take on the dish (which I will write about tomorrow). Other dishes I've yet to try that tempt me to make return visits: the marinated pork shank and the roasted duck with mole poblano sauce. There's also a brunch, which could be enticing too. As for drinks, although their frozen pomegranate margarita claims to be the house speciality, I prefer the simpler tradicional: silver tequila with fresh lime and agave served on the rocks. Haven't yet sampled the desserts; we're always too full. Rosa Mexicano replaces Bambule, a Spanish restaurant that we never tried. No matter. Rosa makes a nice addition to the somewhat starved-for-good-restaurants retail mecca of Friendship Heights. The other weekend while out at District of Pi, a friend ordered this amazing cocktail made with mezcal and spicy ginger ale. It was so delightfully smoky. I wanted to try to make something like it. Sadly, my local liquor store didn't have the right kind of mezcal, so I'll have to keep looking. I made this instead, inspired by its smoke and ginger flavors. 1. Fill rocks glass halfway with ice. Add all ingredients and stir to combine. Serve with lime wedge. Guacamole is one of life's great comfort foods. With the weather warming up, a bowl of fresh guac with some salty tortilla chips and a frosty margarita feels more and more appealing. Making guacamole is pretty simple and, apart from the two required basics (fresh avocados and salt), additional mix-ins make it a versatile treat. Fresh citrus juice, tomatoes, herbs and spices shape its flavor profile. For a long time, I made guacamole frequently (like every week), and my additions were lime juice, seasoned salt, cumin and chipotle chili powder, as well as tomatoes or cilantro if I happened to have them. Just don't overdo it: you want the avocado to be the dish's true star. One popular additive I don't endorse: sour cream. I know some people like this, but I think it ruins it. About the trickiest part is making sure the avocados are ripe. When unripe, their flesh is tough, which makes peeling and chopping them a pain. Plus you don't get that nice creaminess to the mixture. Overripe and they turn brown and mushy, which makes them unappetizing. To ripen them, just leave them out on the counter in a paper or plastic bag (don't put them in the refrigerator). Hitting that sweet spot can be tricky. If the avocado at the store is pretty green, you'll probably want them to set out for 2 or 3 days. If they're darker green toward brown but pretty firm, maybe just a day. If they feel at all squishy, don't buy them--they're overripe. 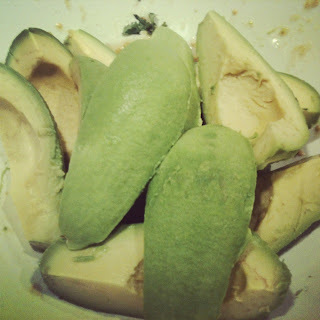 To peel them, I run a paring knife all the way around the avocado the long way, cutting through the flesh to the pit. Then I twist both halves; the pit will remain on one side. 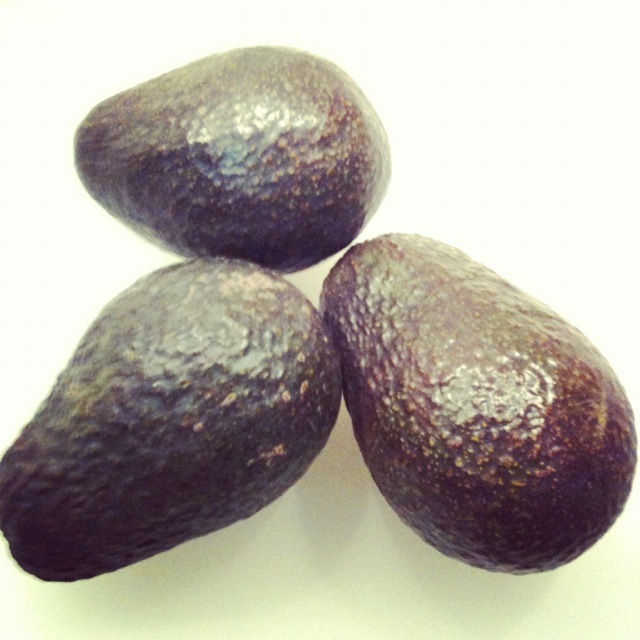 If the avocado is ripe, you can remove the pit with your fingers. If it's a little early, you might have to cut it out. I then cut the two halves in half again and peel off the skin with my fingers. 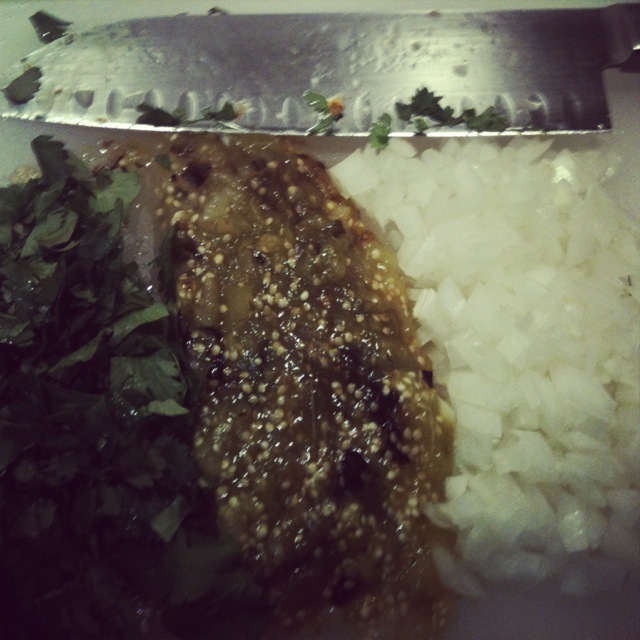 For this version, I chose to up my game by adding roasted tomatillo. Tomatillos look like little green tomatoes with a light brown papery wrapper. 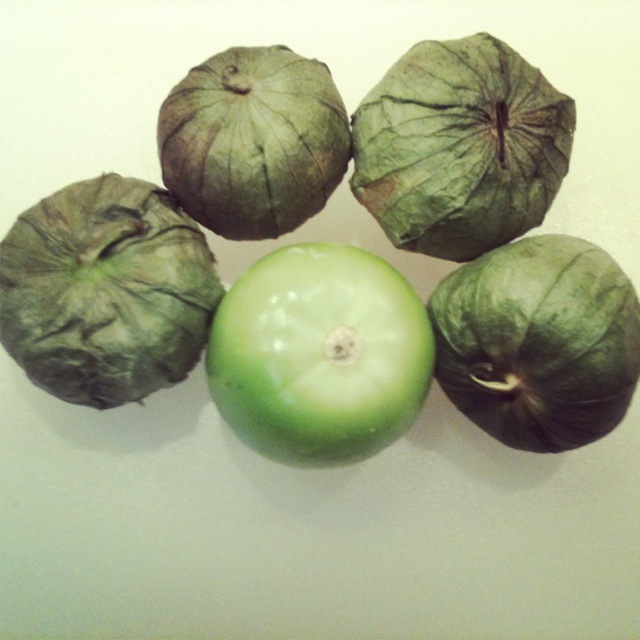 The wrapper comes off pretty easily, but the inside of it is sticky, so you'll want to wash the tomatillos after peeling off the outer skin. 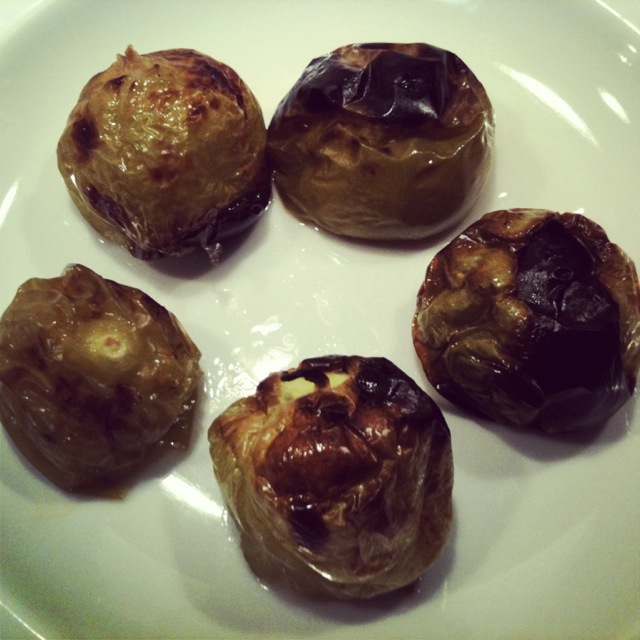 Roasting them is pretty simple: just broil them for about 7 minutes. They'll turn nice and black on top, adding a depth of flavor and bringing out their tangy sweetness. You can peel off the charred skin or just leave it on (I did) and chop the cooked tomatillos along with the other ingredients. 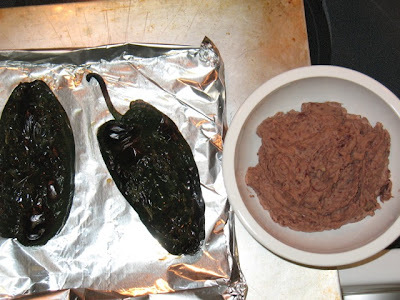 Traditionally, the avocado is ground in a rough stone bowl, the molcajete. Lacking that, as well as a mortar and pestle, I've developed what I think is a rather ingenious blending method: using a pastry cutter. 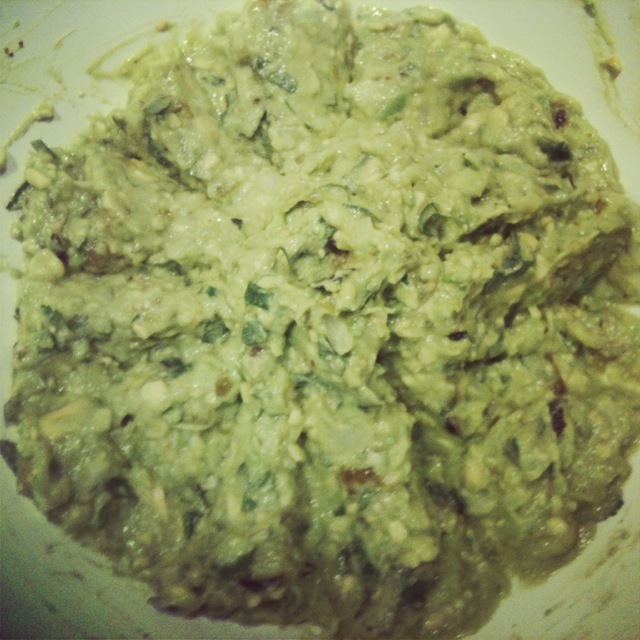 It's really quite perfect, mashing the avocado into a creamy pulp while still leaving some nice-size chunks. 1. 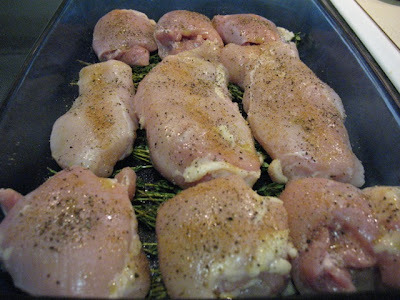 Move oven rack to position 5 inches from broiler and preheat broiler. Put tomatillos in a rimmed baking sheet and broil until softened and charred on top, about 7 minutes (watch to prevent burning). 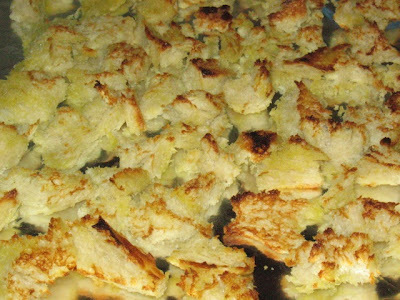 Set aside until cool and then chop coarsely. 2. 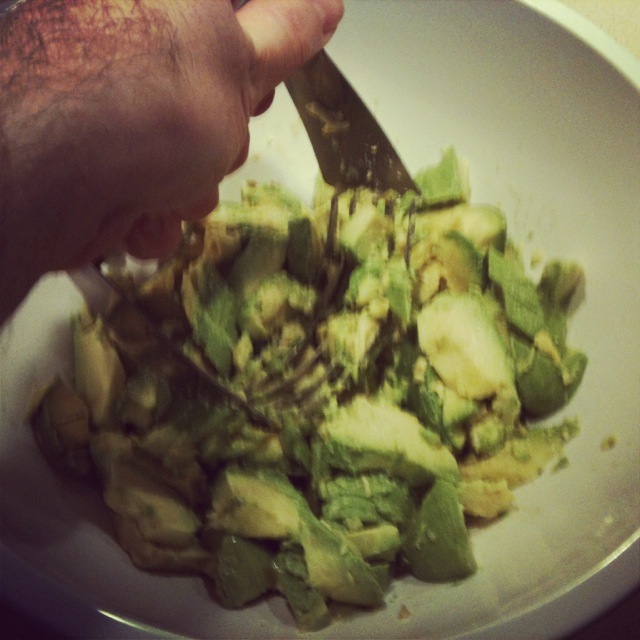 Peel avocados and place flesh in a medium bowl. Using a pastry blender, mash and chop the avocado until it reaches a desired consistency (I like mine to be fairly chunky; keep going longer if you want it smoother). 3. Add remaining ingredients and stir to combine. 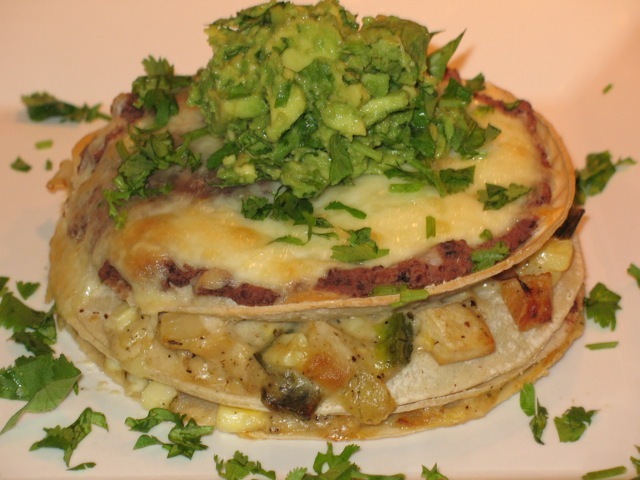 Serve with good quality tortilla chops. Also good as a dip for fresh vegetables. When I tell people that I make my own birthday cake they have this surprised look on their face, but for me it makes perfect sense. I love to cook and making a cake is a treat. It's my party and I'll cry if I want to...or make my own cake! This year, I decided I wanted to combine the flavors of lemon, honey and ginger. This is a classic combination that works well in hot tea and cocktails (see my Indochine Bee's Knees from earlier in the week). After considering several options, I decided the best course would be to put the lemon in the cake, the honey in the frosting and the ginger in the ice cream. Finding a good cake recipe proved to be tricky. America's Test Kitchen's Lemon Layer Cake is layers of white cake sandwiched with lemon curd. I wanted the lemon flavor in the cake itself. 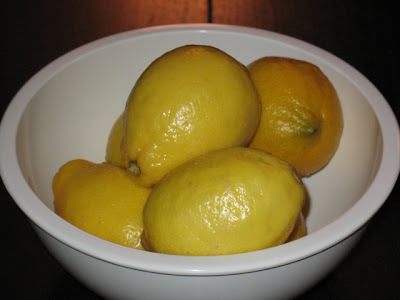 Such cakes, however tend to be bundt cakes or loaf cakes, like Ina Garten's Lemon Cake. Still not quite right. I'd have to improvise. 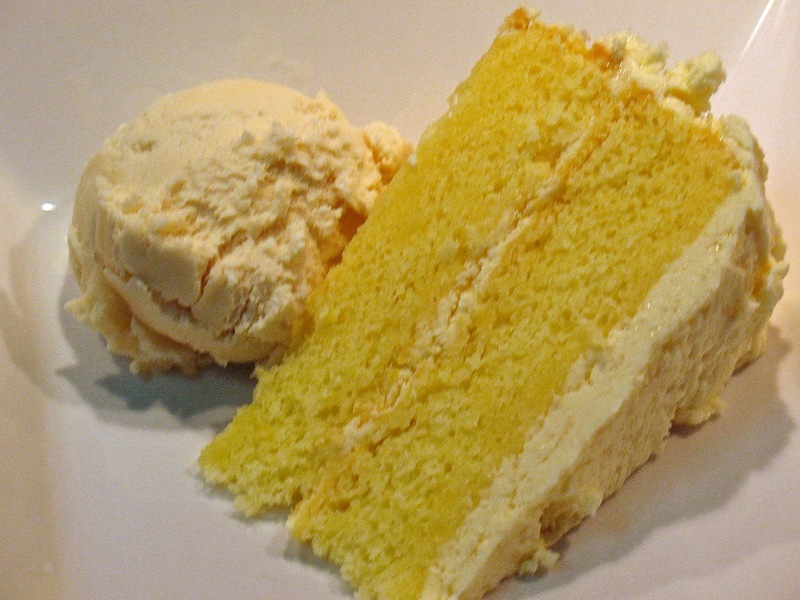 In the past, I've had a lot of luck with America's Test Kitchen's recipe for Yellow Layer Cake. I decided to adapt this recipe by swapping out the milk for lemon juice and buttermilk. Buttermilk is an obvious choice: it's tangy flavor would compliment the lemon. Some recipes that call for buttermilk suggest substituting milk and lemon juice if you don't have buttermilk. I upped the moisture ratio a bit, adding 3/4 cup of buttermilk and lemon juice. Although one must be careful when changing ratios in baking, my thinking was that the extra 1/4 cup of liquid might mean baking the cake a little longer and wouldn't make a huge difference, which turned out to be the case. For the frosting, I decided a cream cheese frosting would be the way to go, since a powder sugar frosting might be too sweet. But instead of regular cream cheese, I chose mascarpone, which has a richer texture and more neutral flavor. Doing so provided a better showcase for the honey flavor, which regular cream cheese might have muted. I had a little timing problem with frosting the cake. I made the frosting too soon and when it was ready, the cake wasn't cool yet (and, FYI, it's not a good idea to frost a warm cake, as it will activate the butter and you'll have a runny mess). Since the frosting is basically cream cheese, I put it in the fridge. 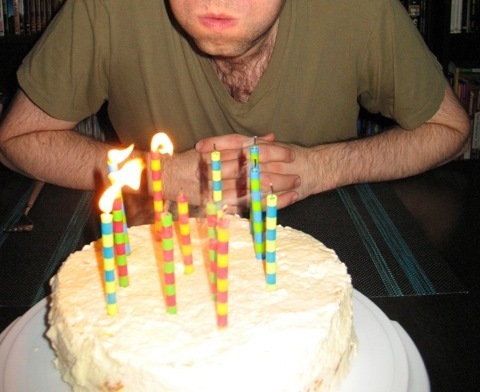 But then once the cake was cool, the frosting was hard. Arg. So I had to let it sit out anyway and I think the cool and reheating caused some separation with the honey, giving it a lumpy texture. 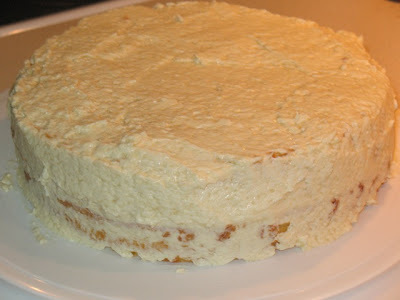 It still tasted wonderful, but I would recommend setting the frosting ingredients out while the cake is in the oven (so they come to room temperature) and then making the frosting once the cake is cool. Finally, there was the ice cream. I've had such success making ice creams from Jeni Britton Bauer's Jeni's Splendid Ice Creams at Home that I knew I wanted to use her technique, even though she doesn't have a recipe that exactly matched what I wanted to make. 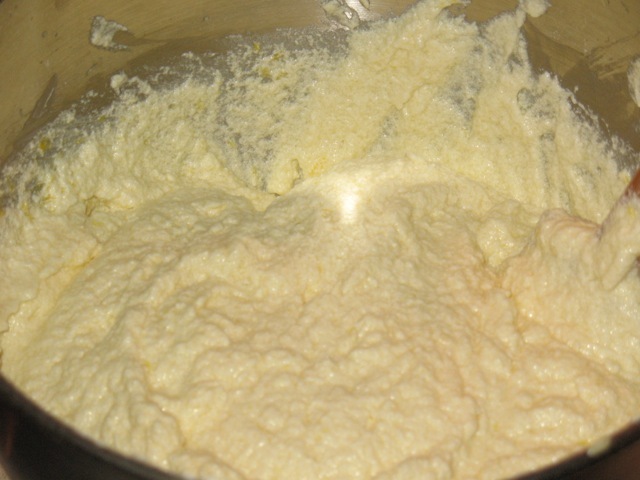 Her technique is very adaptable though: the basic formula starts with cream, milk, sugar and corn syrup which is first cooked then combined with cornstarch and cooked again, then finally whisked together with cream cheese and salt before chilling and processing. Flavors that need to be steeped are added in the first step, other flavors that aren't cooked can be added with the cream cheese and any added solids (like chocolate chips or cookie crumbs) would go in during the processing. Seems easy enough. To infuse the cream mixture with ginger flavor, I added a heaping 1/4 cup of roughly minced fresh ginger root. A last minute brainstorm led me to substitute brown sugar for regular sugar. Since brown sugar contains molasses, I thought this might nudge the ice cream toward a molasses ginger cookie without putting in so much molasses that the ice cream would overpower the lemon cake. 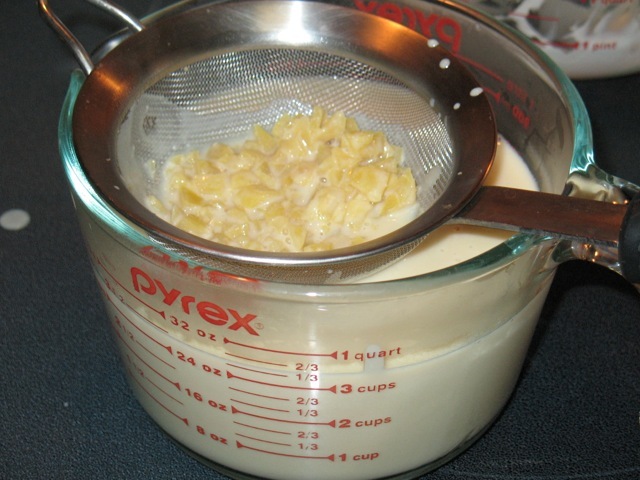 Once the cream/ginger mixture was boiled for a few minutes, I let it steep for about 10 minutes before straining out the ginger solids. Some ginger ice cream recipes I consulted (including Jeni's Celery Ice Cream with Candied Ginger Rum-Plumped Golden Raisins) add chopped crystalized ginger when processing the ice cream. I tasted the ice cream mixture before freezing it and decided it was sufficiently gingery, so I did not do this. The resulting cake and ice cream delivered the flavors I wanted in nice balance. 1. Adjust oven rack to lower-middle position and preheat oven to 350 F. Grease two cake pans with butter, cover pan bottoms with buttered parchment rounds. Flour pans and tap our excess flour (tip: to reduce flour waste, I tap the excess flour from the first pan into the second). 2. Whisk eggs, lemon juice and buttermilk in a medium bowl. Measure out 1 cup of this mixture. Combine flour, sugar, baking powder and salt in stand mixer bowl and beat on lowest speed for about 30 seconds to blend. 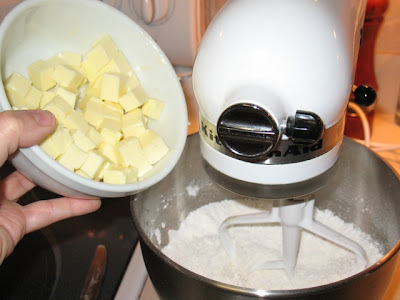 With mixer running, add butter a few pieces at at time. 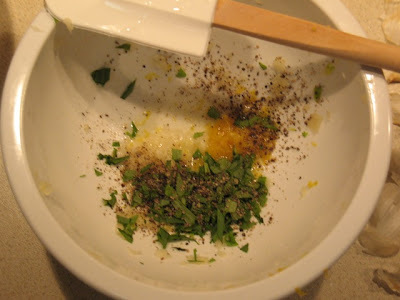 Mix until mixture clumps together and looks like sand and pebbles (will be about the time you finish adding butter). 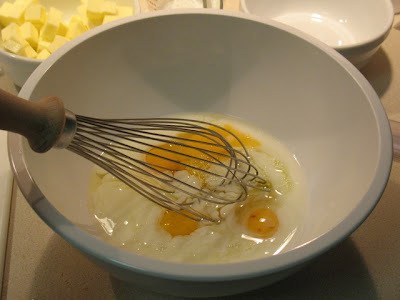 Add the reserved 1 cup of egg mixture and mix for about 5 seconds to incorporate, then increase speed to medium-high and beat until light and fluffy, about a minute. Add remaining egg mixture in a slow stream with the machine running, about 30 seconds (careful, it splatters easily). Stop mixer and scrape the sides of the bowl with a spatula. Beat on medium-high for another 15 seconds to thoroughly combine. Mixture will appear a bit curdled. 3. Divide batter into prepared cake pans and smooth batter with spatula. 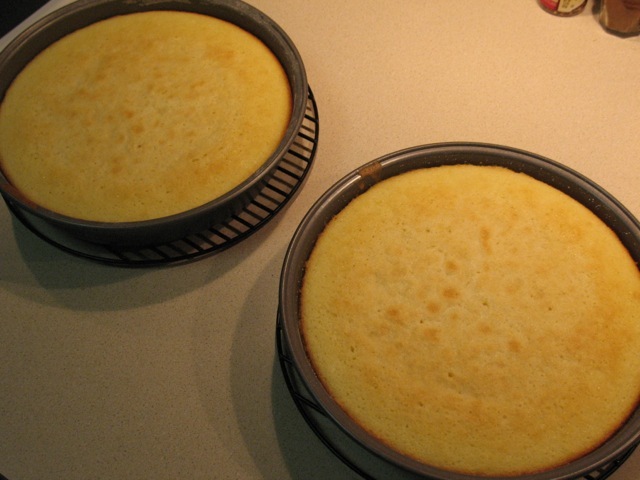 Bake until cakes are light brown and a toothpick comes out clean when inserted in the center, about 25 minutes. Cook on racks for about 10 minutes, then loosen cakes with a knife (tip: use a plastic one to avoid scratching nonstick cake pans), invert onto racks, remove parchment and allow to cool completely before frosting. 4. 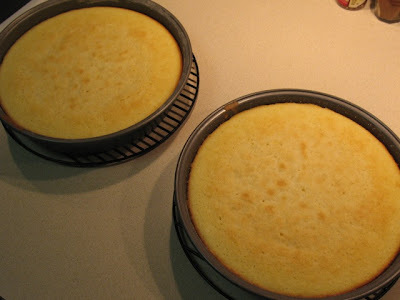 To assemble cake: place first cake layer on cake plate flat side down. Smooth about 1/2 cup frosting on top of cake (tip: I like to use an offset spatula for frosting cakes; it doubles as a nice serving instrument). Place second cake on top of frosted layer with flat side up. Smooth about 3/4 cup of frosting on top and use the rest to frost the side. Cake should be kept in refrigerator. 1. Beat together butter, mascarpone and powdered sugar on low for a few seconds to combine and then beat on medium-high until mixture is thick and fluffy. Add honey and continue beating another minute to incorporate. Use frosting immediately on cooled cake layers.